The Mokuzai collection is a fusion of traditional Japanese styling with contemporary techniques. Designed by a rising name is Japanese design, Aoto Takada, the Mokuzai dining set is beautifully inspiring furniture for any home. A beautifully simple design and crafted from strength-tested solid Ash Wood with a thick veneer finish make the Mokuzai dining table the perfect fit for any dining space. Gently curved backrests, lush upholstered seats and solid ash wood frames make the Mokuzai Dining Chairs effortlessly stylish without sacrificing comfort. Whether the Mokuzai Dining Bench is a permanent addition to your dining setting, or if it is brought out for special gatherings, this piece can work in a number of versatile roles around your home. 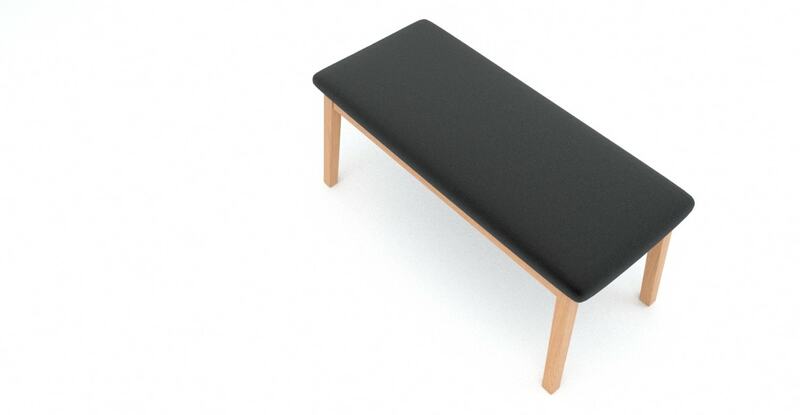 The Mokuzai bench can seat up to two people comfortably. See, touch and feel our fabrics used on our Mokuzai Dining Table & 4 Mokuzai Dining Chair & 1 Mokuzai Dining Bench Set. For Free! Simply select up to 3 fabrics and add them to your cart. Delivery is on us.